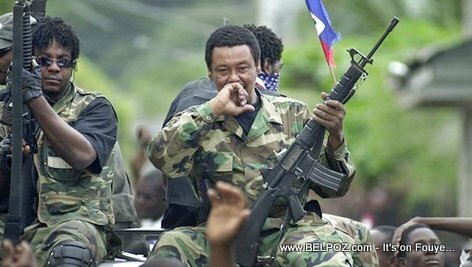 Haitian rebel leader Louis-Jodel Chamblain made some troubling announcement on a radio station Monsay in capital Port-au-Prince. "There is a armed coup d'ètat imminent against president Jovenel Moise," he said. The only reason this coup d'Etat is not done yet is because the group planing the coup d'Etat have all the weapons but no amunition, Chamblain said. "I need to know why it's being done and it cannot be done without me." Chamblain said. "If it is not being done for the good of the people, I will stand against it." The former rebel leader also said this coup d'état is being planned by Haitians, "right here in Port-au-Prince"